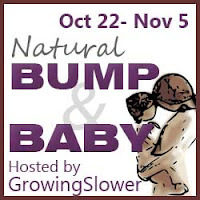 #NatBabyBump Giveaway Hop: $45 MILK Nursingwear Gift Card! First, check out my Giveaway for a $45 Milk Nursingwear Gift Certificate! you can find my review HERE. 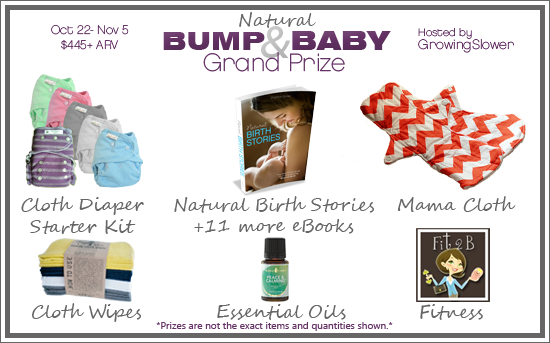 Now that you've entered my giveaway, if you're expecting or a new mom then this event is for you! Be sure to enter to win the grand prize valued at over $385. It includes cloth diapers and accessories, essential oils, mama cloth, and more! i love the contemporary knot nursing top! i would wear it once my baby is born in march! I would get the side-shirred nursing top in long sleeves. It would be for me. Baby boy is due in February! I wish there was cute stuff like this when I nursed. I want to win this gc to give to my SIL who had a baby last week and is nursing. I love the contemporary knot too! I have been nursing or pregnant for the last 8 years and I really do love nursing tops although I can nurse in a regular shirt too. I like being able to easily be discreet while nursing and a nursing shirt is the easiest way to do that! If I were to win it would be for me, I am due to have my fourth little guy in December and am hoping breastfeeding works even better this time. I am very self conscious about feeding the babies out in public and my oldest son has regular therapy sessions we will be out. I love the designs of these shirts, I can fee like I am covered everywhere possible and feed comfortably. i would love tot win this for me, due on halloween. i am not a fan of full exposure bf in public. I used to have issues nursing in public. It was to the point I would nurse my daughter in the car BEFORE we did any major activity like shopping or eating at a restaurant. Now I don't care what other people think. I'm modestly dressed/covered when I do nurse so it's not a peep show. Besides, my child's needs come before other people's opinions. I would love to try out this nursing wear! I will use this. We will have our first kid next year and I will use it then. I really like the style! I always had a hard time with #1 wearing dresses becuase i would have to take the whole thing off to nurse! I have a 3 week old so I would use this. I just started nursing my 2 week old and would love to have one of these tops! So cute and functional! I would love to win this for a friend of mine!